Today’s question is from Rikk Carlson. I asked Rikk a couple follow up questions just to be sure what he was wanting to discuss. Luckily for me, it was the developmental process. So, here I go…With some context. The first four summers of the initial rebuild saw the Cubs’ farm system produce like never before. Kris Bryant, Albert Almora, Kyle Schwarber, Wilson Contreras, and Javier Baez all played in important part in the Cubs winning the 2016 World Series. 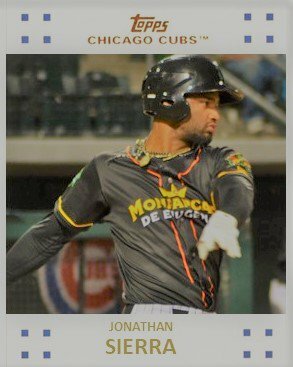 Then, in 2017, Ian Happ was the latest prospect to come up and contribute right away. Now that the Cubs are drafting at the back of the first round, rather than the front they are not getting the elite talent they once did back in 2012 to 2015. In fact, in 2016, the Cubs did not draft until the third round. In addition the Cubs traded top prospect Gleyber Torres to the Yankees for Aroldis Chapman that lead to a world championship. And in 2017, the Cubs continued trading away a lot of their elite talent in hopes of bringing about another championship. Eloy Jimenez, Dylan Cease, Isaac Parades, and others were traded right out of the system to acquire players Theo thought could help get back-to-back titles. The Cubs’ MiLB system has not recovered yet. After the trades of 2017, I thought it would take 3-4 years to rebuild the system with a heavy lean to the four. Rikk definitely has a valid concern about the developmental process. Based upon the quality of players the Cubs selected the first four years of the Theo regime, those first round picks all wound up in Chicago and rightfully so because they were elite talents. But when you start to look deeper, there was a glaring hole in that developmental process and it had to do with pitching and that hole later impacted hitting. Part of that hole was by design because the market in 2012 was that hitters brought in more bang for their buck at the top of the draft. They were more projectable and the Cubs went with those type of players. But once 2016 came, the front office realized the pitching hole was glaring. To fix that hole, the Cubs went overboard in 2016 and 2017 in the MLB Draft to right the ship when it came to pitching. They selected over 50 pitchers in two years. When the Cubs selected those 50+ arms, the hitting in the system struggled as a result, especially when seven of your first eight picks in 2016 were pitchers. Then a hitting deficit began to show up in 2018 as a result. The Cubs are going to get rectify that in the next couple years after getting back to drafting hitters high in the draft in 2018. Add in the fact the Cubs’ international free agent budget was restricted for two years because of overspending in 2015 and you have a whole host of other issues. However, those elite 2015 international kids will soon be hitting full season ball en masse in 2019 and 2020. In addition, there have been three separate pitching coordinators the past three years. Derek Johnson left after 2016 to join the Brewers and Jim Brower did the same after one year to be on the Mariners’ staff. Now, the Cubs have Brendan Sagara. As for the hitting side, the Cubs have to hire a new hitting coordinator next year after Jacob Cruz just left after one year on the job as well. The shoveling which Rikk mentions in his question has more to do with covering holes the Cubs created. The brass knew what they were doing in trading away Gleyber and Eloy to shore up pitching at the MLB level. They then attacked pitching in the draft because they weren’t developing pitching like they wanted. The Cubs’ brass knew that if they built a productive system once, they could do it again. The combination of pitching holes, trades, IFA penalties, and bulk drafting pitchers created issues in development. Hopefully, there will be some consistency in MiLB coordinators soon, too. The shoveling around and trying to fill holes should stop very soon. Then again, things are going to get very competitive this spring. The extra rookie league team in Arizona should help developmentally strengthen the system. There will be a lot more prospects competing for spots in South Bend and Myrtle Beach. I like the fact that every player will now know that there are several prospects waiting right behind them and, if, as a prospect, you develop and produce, you move up. Those are important messages to be sending. ‹ PreviousThe 5 Series: Can Jose Albertos Get “It” Back?